Errol McConnell has definitely started his football career on the right foot; impressing many whilst ensuring the best has yet to come. “I played football to pass time, before realising I was actually good, so I decided to push myself to be the best footballer I can be”. Errol first started playing local football at Oak Park before transitioning to Calder Cannons where it was evident Errol was something special when playing football. As an all-round player, Errol’s main goal is to ensure his role within the team is achieved, a role Errol doesn’t take lightly. “Team involvement is the most important aspect for me, to play my role, give it 100%, if I achieve all those factors, I ultimately achieve my goal each week”. Errol abides by producing his best work every week, to work his hardest, dedicate himself to his role and to ensure 100% is given, ultimately in time, all his hard work, pays off. Playing professional football is a dream, one I believe through hard work, dedication and commitment, Errol can most definitely achieve. Whilst playing with Calder Cannons, Errol was awarded the Team Targets Award, an award Errol is grateful for. “It was great to win that award, meeting team targets is extremely important too me, to be recognized for that is great”. Whilst playing for Coburg the importance of meeting team targets is no different; Errol is determined in ensuring team targets are always met as well as perfecting his role within the team. Transitioning from Calder Cannons to Coburg Lions has been different, but good different. 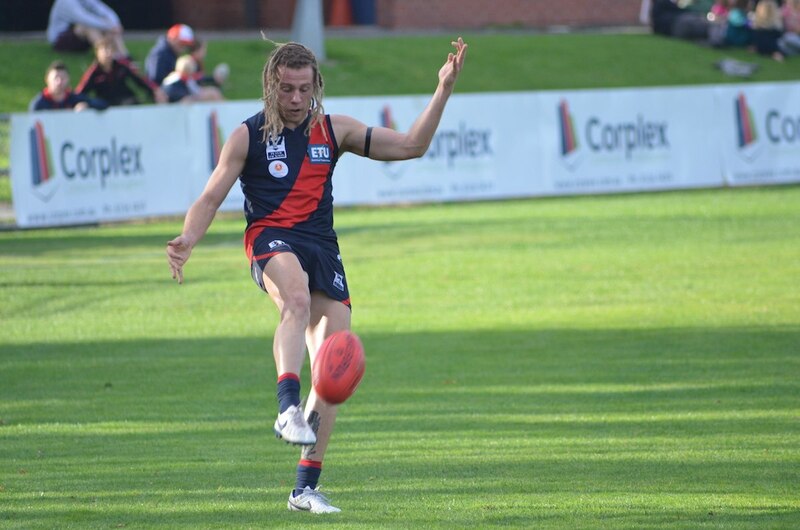 Errol has nothing but praise for both Coburg as a club as well as senior coach Peter German. “Coburg doesn’t feel like a club, it really feels like home”. It was quite evident how much Coburg is home to all the boys through Errol’s close embrace with footballer Matt Clark after the interview, there’s definitely a sense of brotherhood. Errol has the utmost respect for the older boys who instantly welcomed him into the club as well as the work ethic of Peter German. “He pushes you really hard which is great, in time, you’re not pushing yourself just for you, but also for your coach”. As a club that’s building their brand, the relationships formed on/off the field benefit Coburg as a club; and in due time, Coburg Lions will definitely be a powerhouse club. Errol’s speed, success in achieving team targets and aggression are all skills that set him apart, as well as his dreaded shoulder length hair, as a supporter, the benefits of Errol’s choice of hairstyle is easily spotting him out on the field aside from his fantastic football skills. Growing as well as perfecting your skills; as a player is a necessity, Errol’s growth is evident. Playing good consistent footy, meeting his personal goal each week, as well as being awarded ‘Lion of the Round’ last week, you can definitely conclude Errol’s future with football is bright. As a youngster aspiring to one day play professional football, Errol is determined in perfecting his skills to ensure playing professional football is part of his football career. ‘Working hard always pays off, so work your hardest to achieve the best results”. Errol’s personal goal going into each game was definitely a trait I admired, there’s a sense of leadership within Errol’s character. Being only 19, his personality traits is definitely an indication of one day Errol not only being a great professional footballer, but also a great leader.